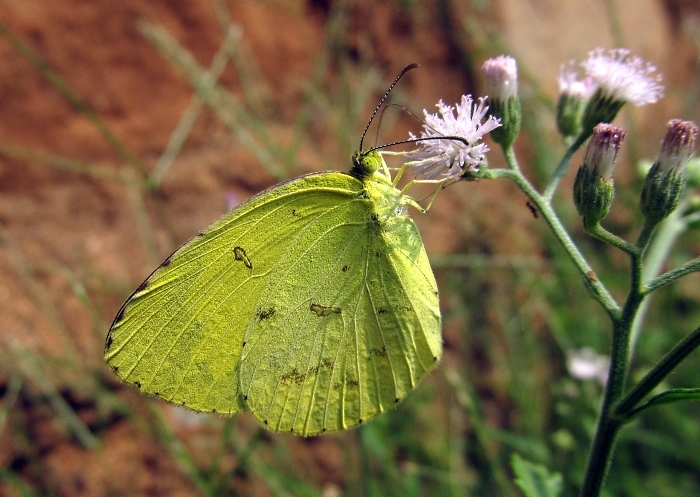 This small yellow butterfly was common in the north and south of India, but so mobile it was difficult to get good photos. 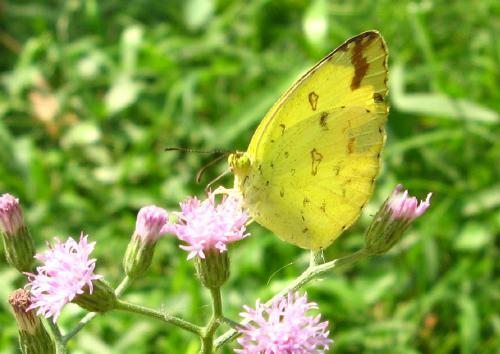 It is one of several species of grass yellow in the same genus. 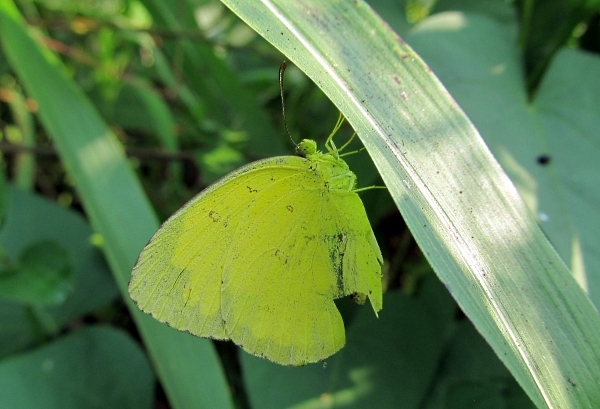 The other one I saw on my trip was the three-spot grass yellow, Eurema blanda. 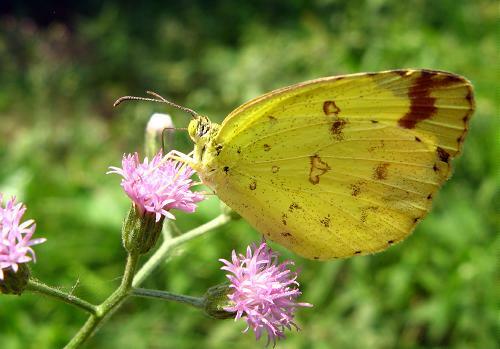 This is easily differentiated, if you can get close, by the three spots in the forewing cell, rather than two.